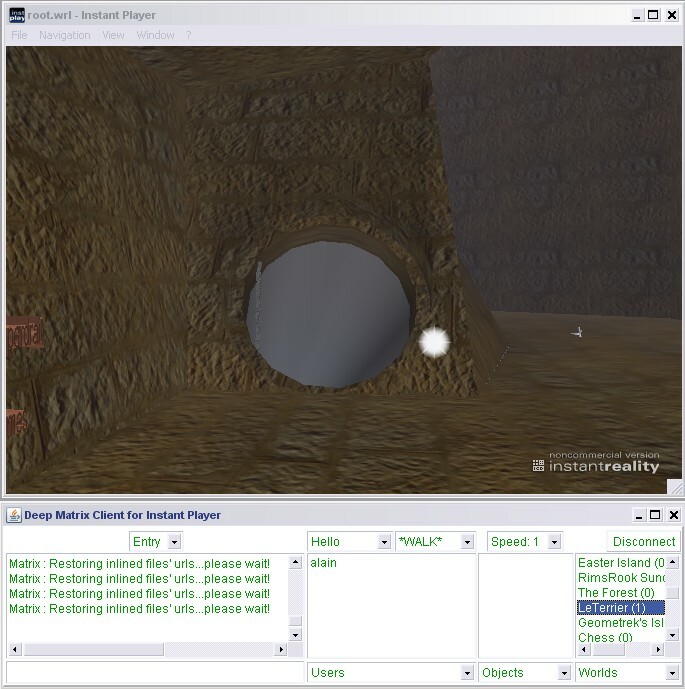 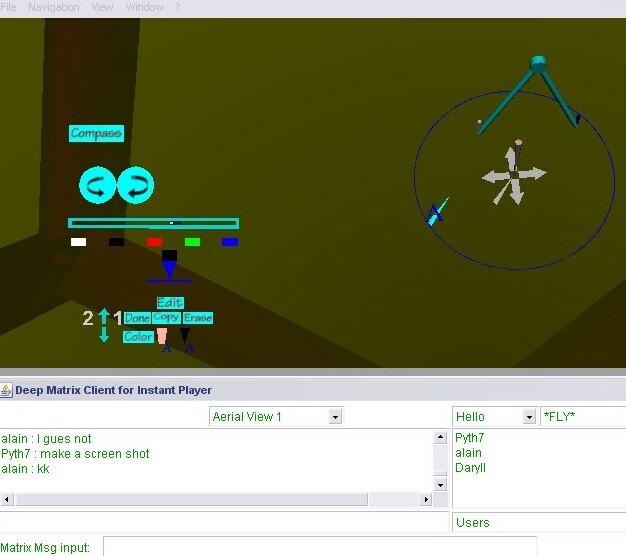 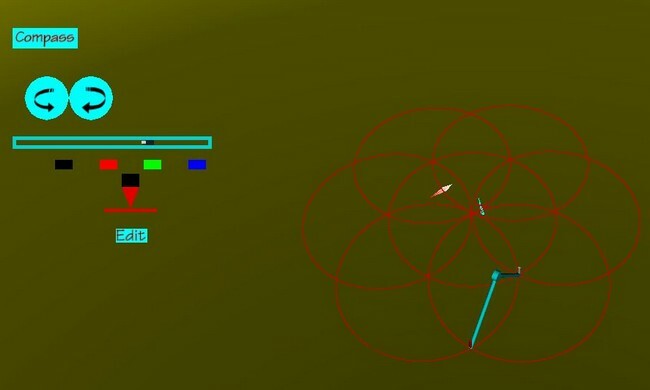 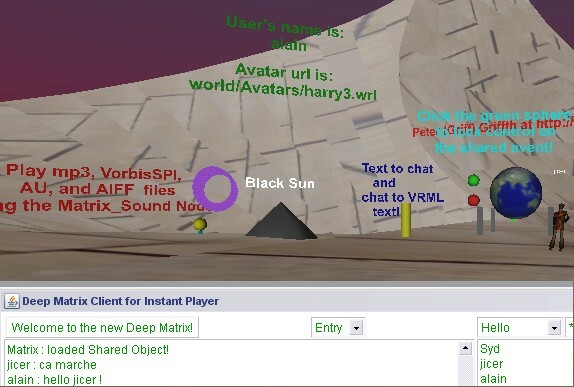 Deep MatrixIP9 est un client multi-utilisateurs , open-source , pour les formats vrml/x3d . 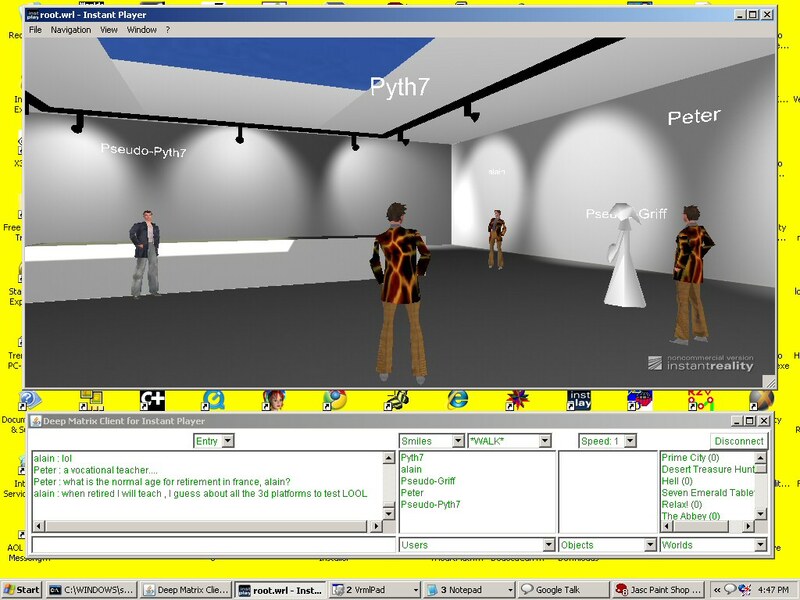 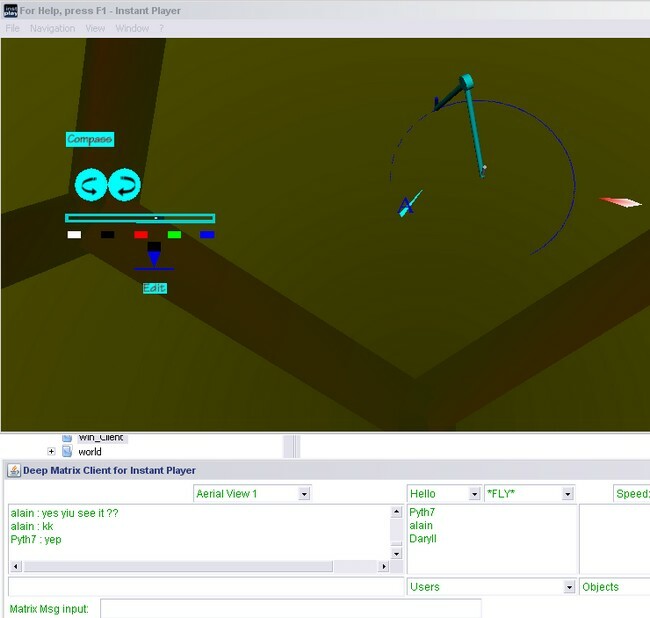 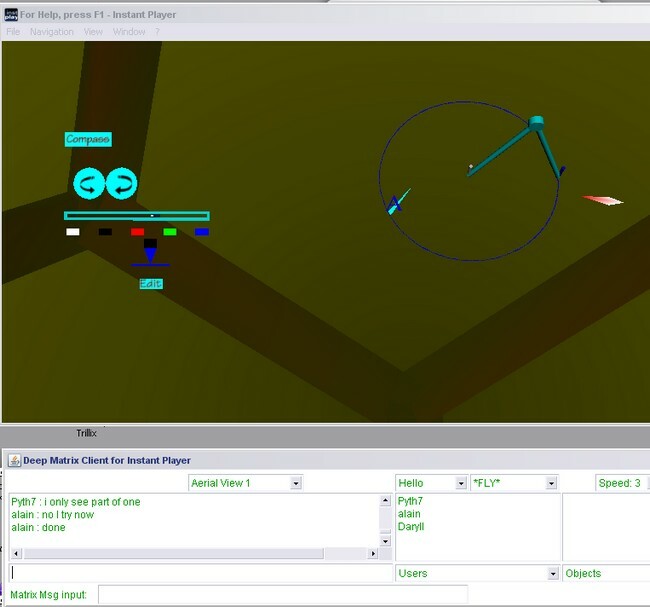 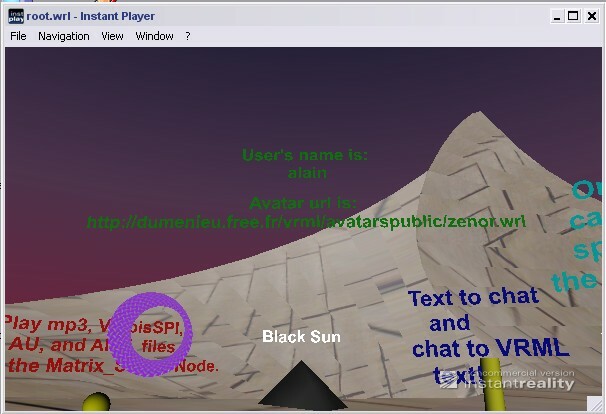 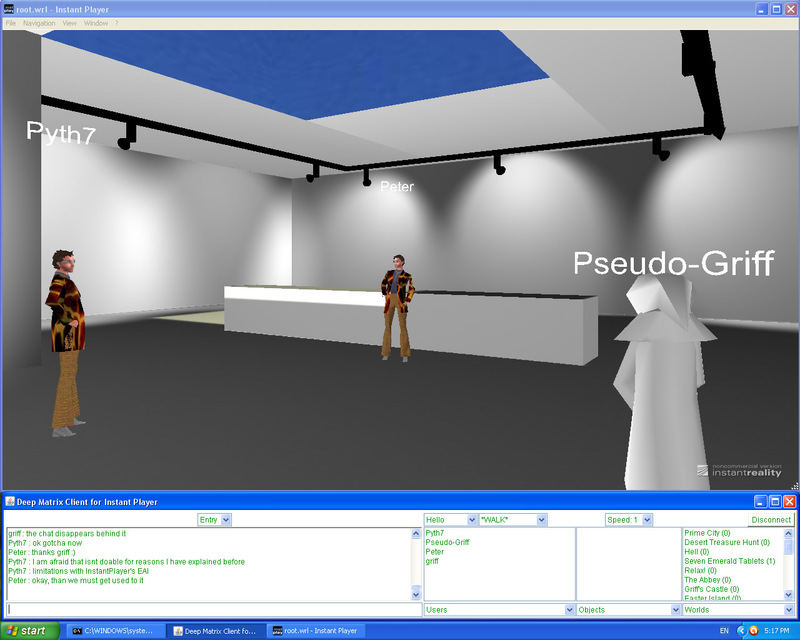 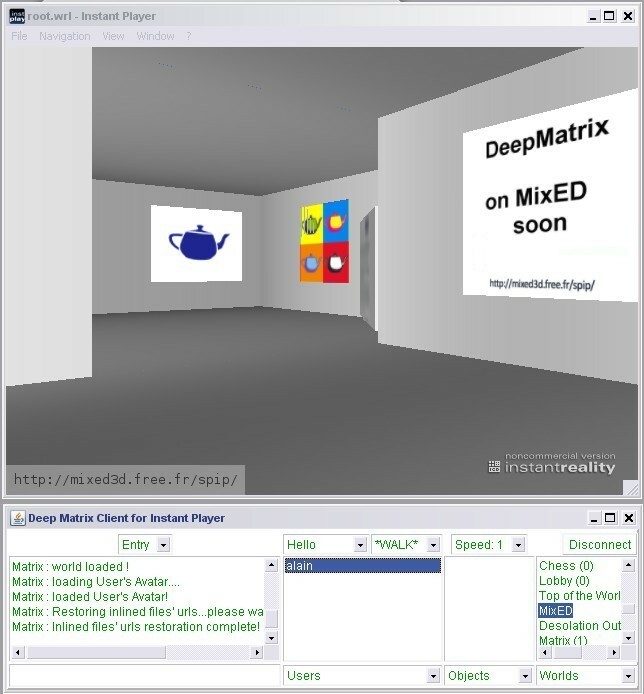 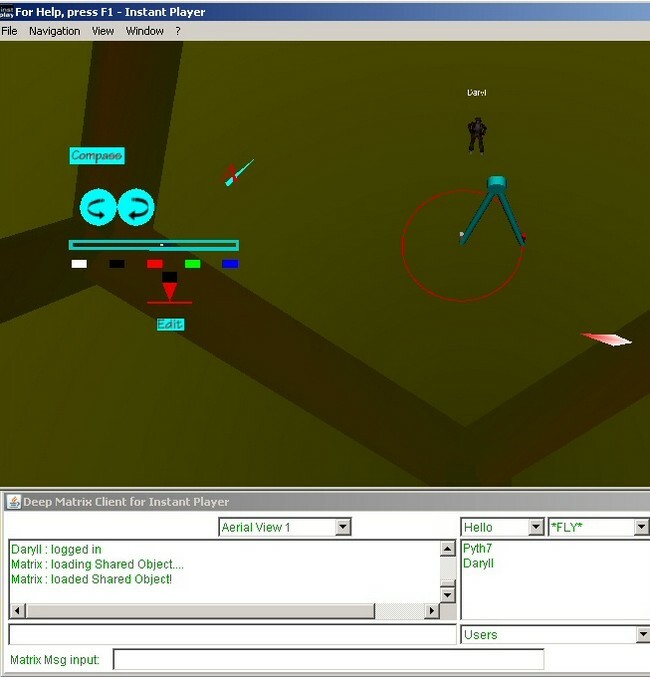 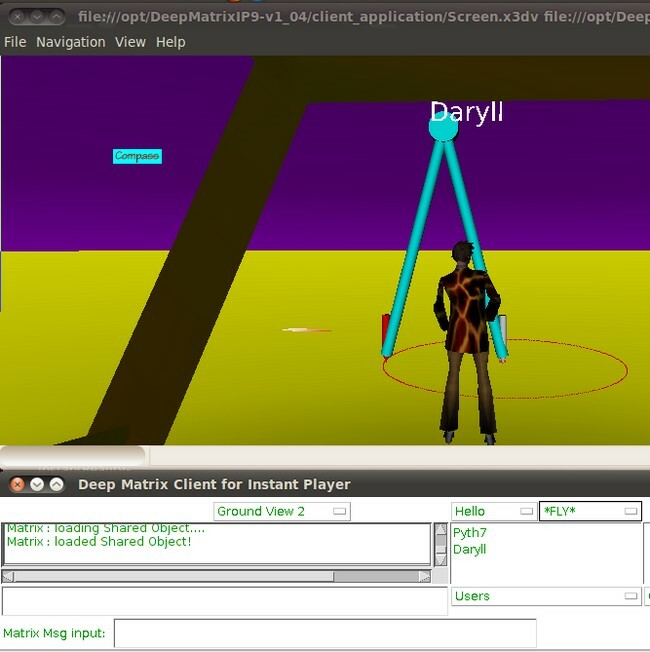 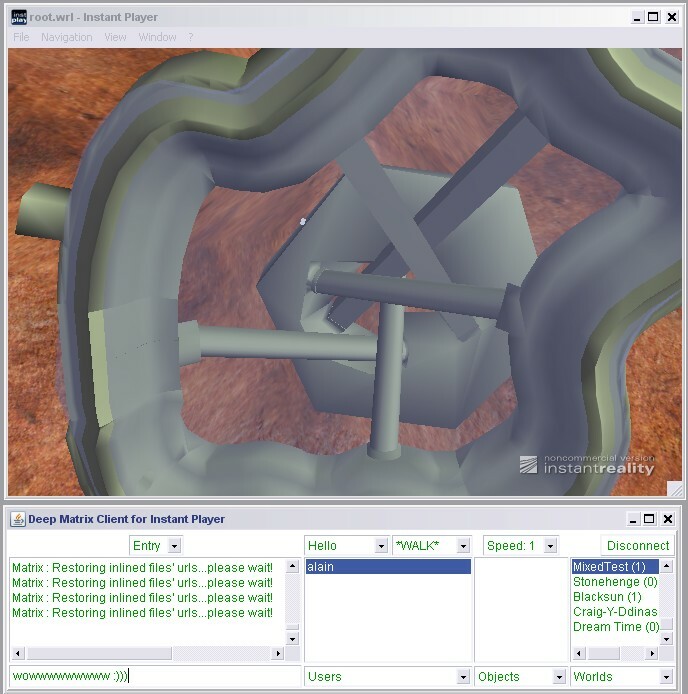 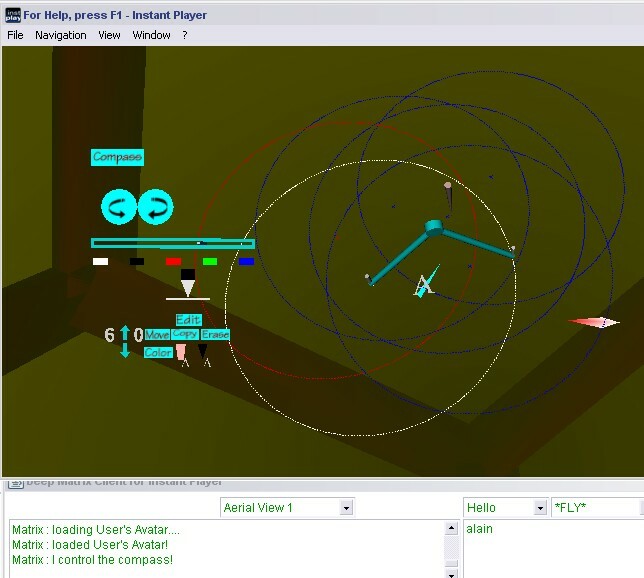 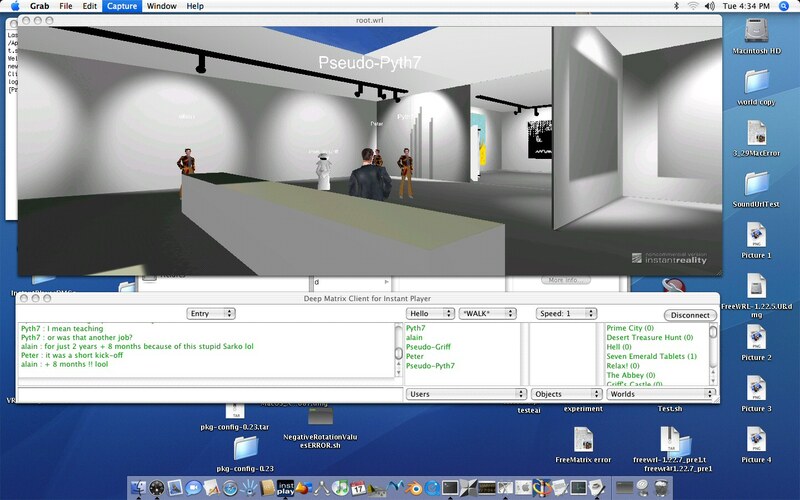 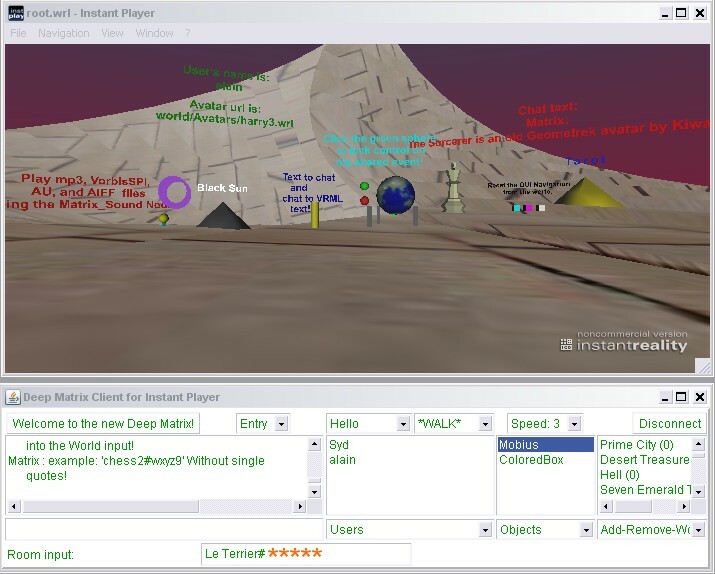 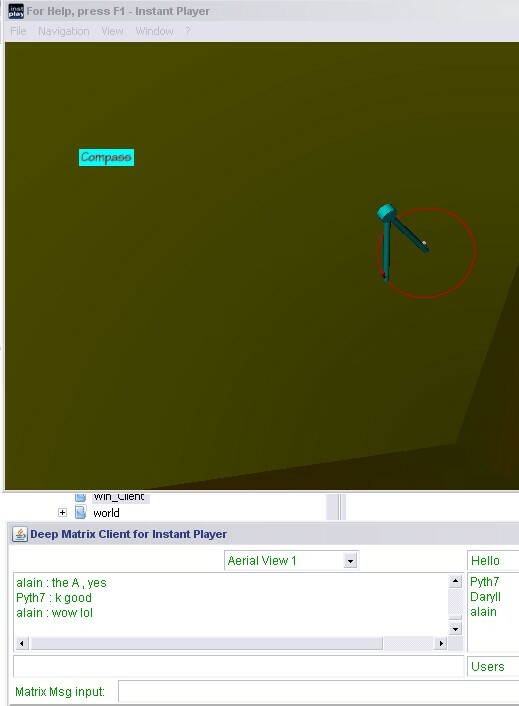 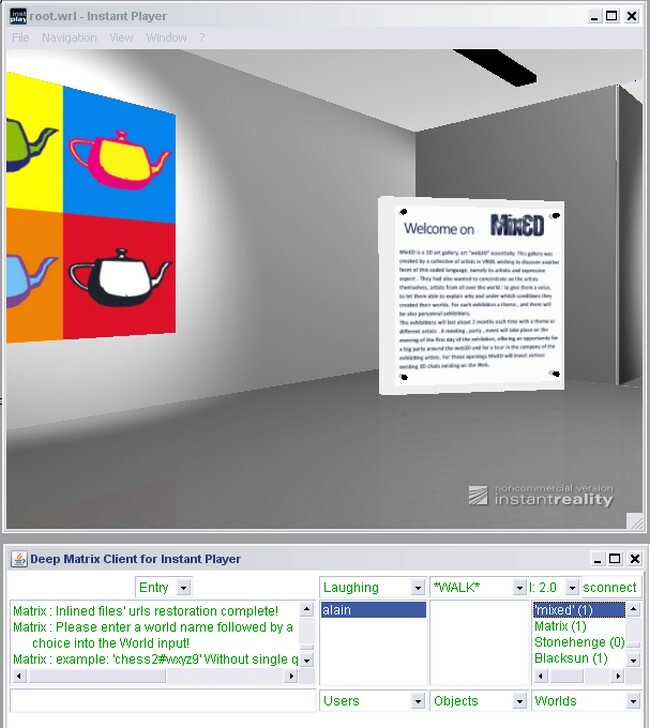 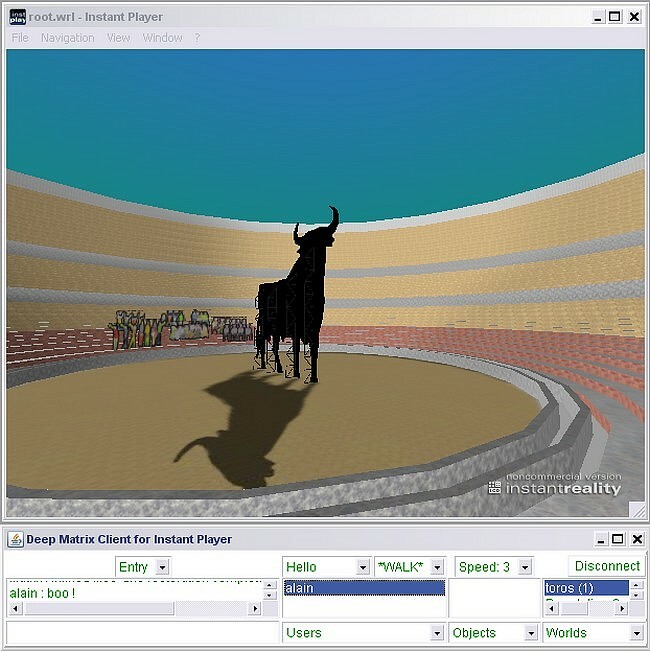 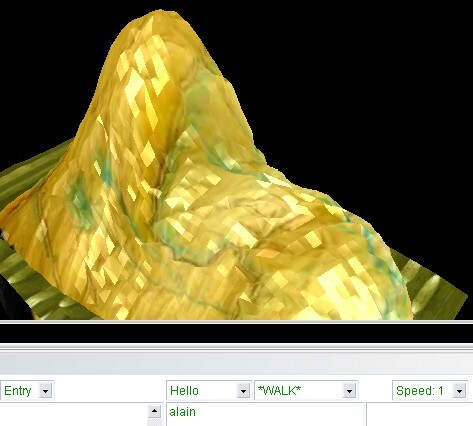 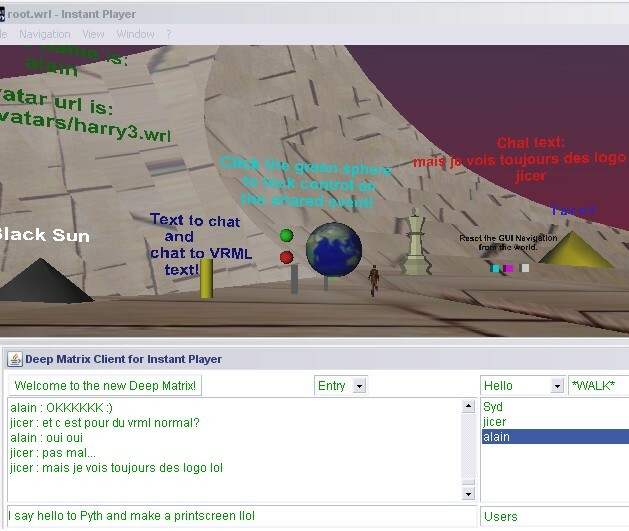 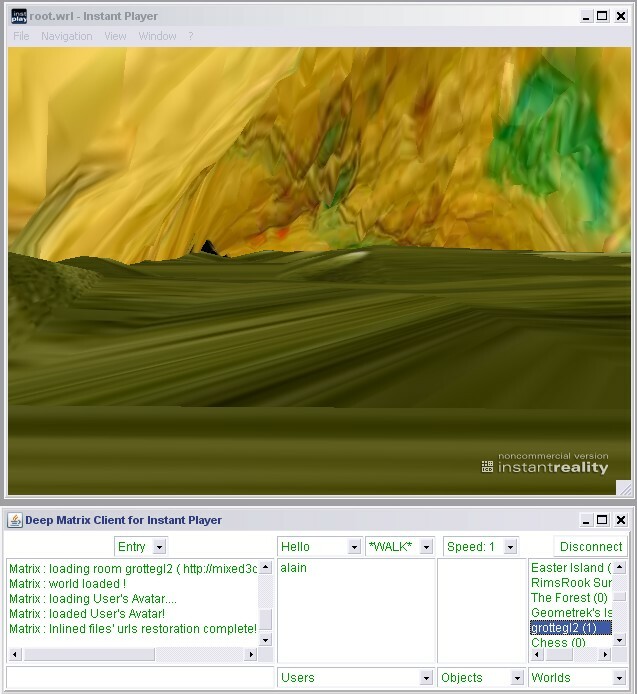 Deep MatrixIP9 is an open-source multi-user client/server system for vrml/x3d formats . 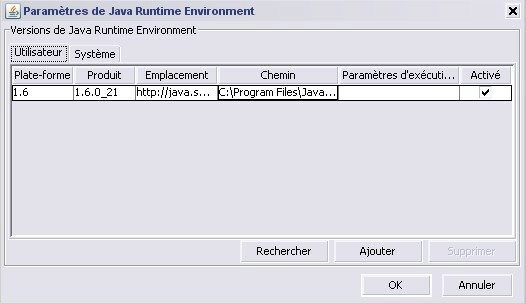 Davantage d’aide si vous avez des problèmes avec Java / More help if you have probs with Java/ click ! 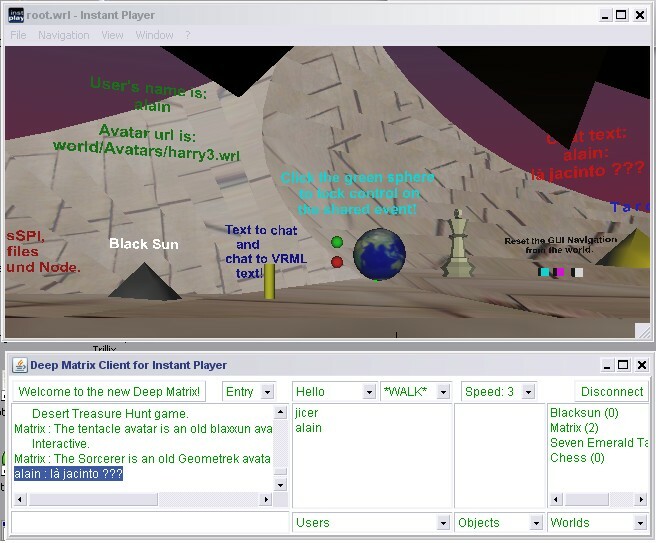 Comment y ouvrir votre propre monde /How to open your own world : click ! 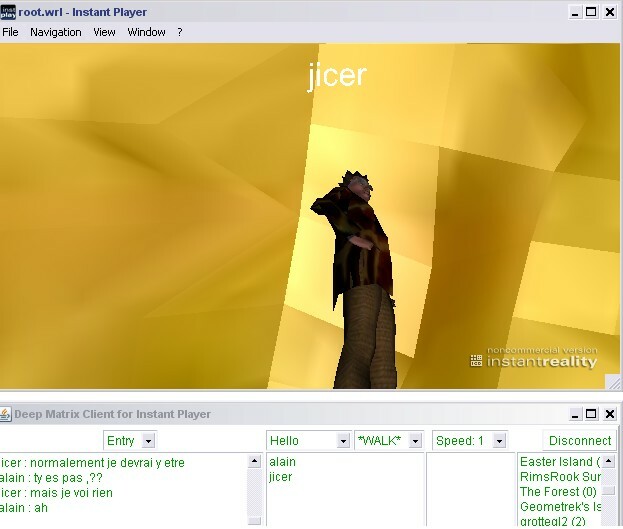 Go to: http://www.java.com/en/download/index.jsp Underneath the big “Download” button there are three links. 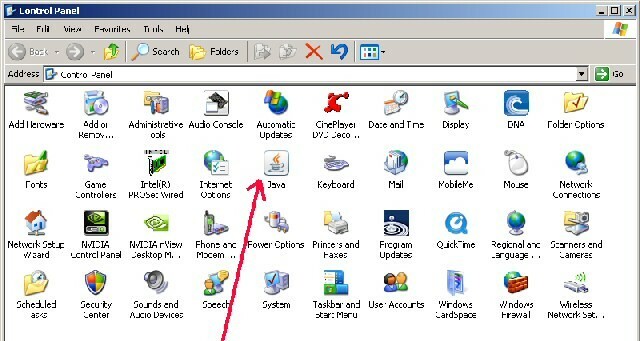 You have the recommended Java installed (Version *****). 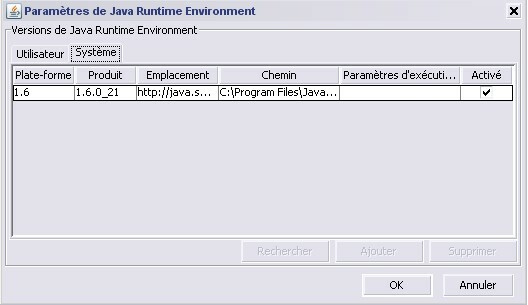 Also here: http://www.java.com/en/download/help/index.xml and click the 8th listing: How do I test whether Java is working on my computer? 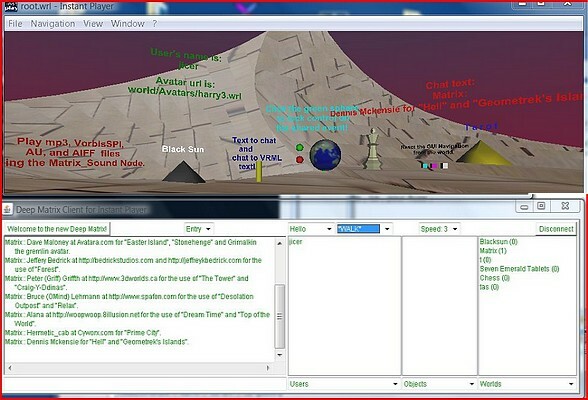 If you have several versions , all of them will be listed …. 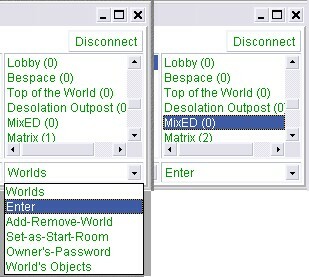 Notice the last “Enabled” column on the right and how at least ONE of the boxes is checked –preferably the latest version! 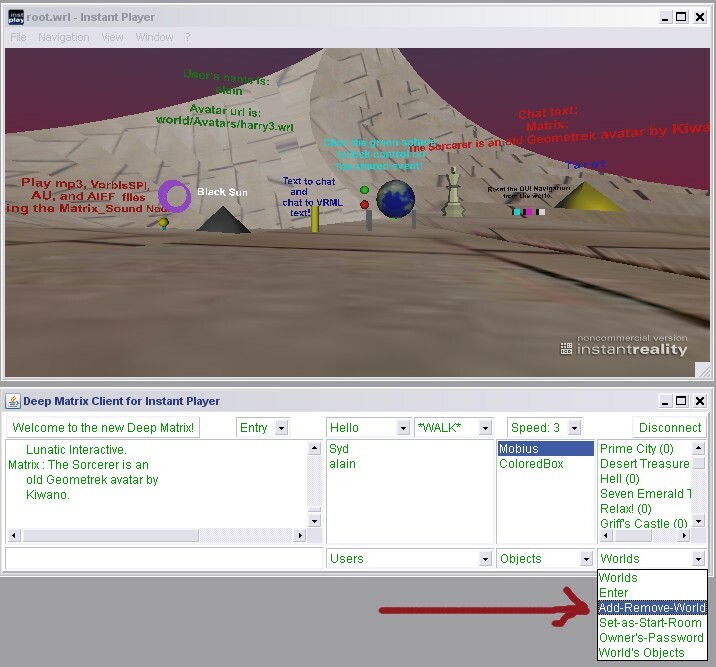 Click “OK” after enabling too! 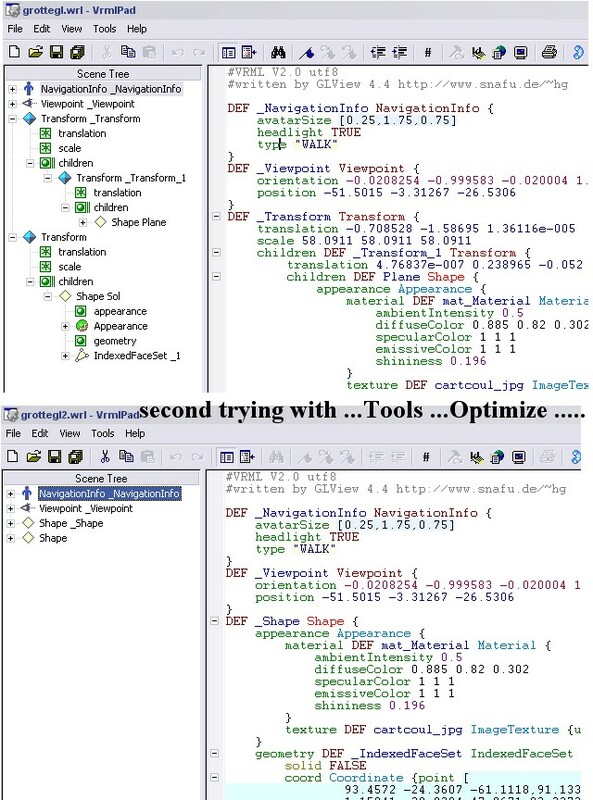 Then , the best is TO REMOVE all your ancient - and unuseful - versions !!!!!!! 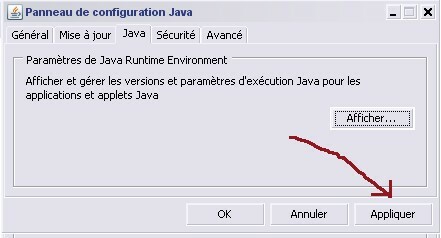 Then your Java is working! 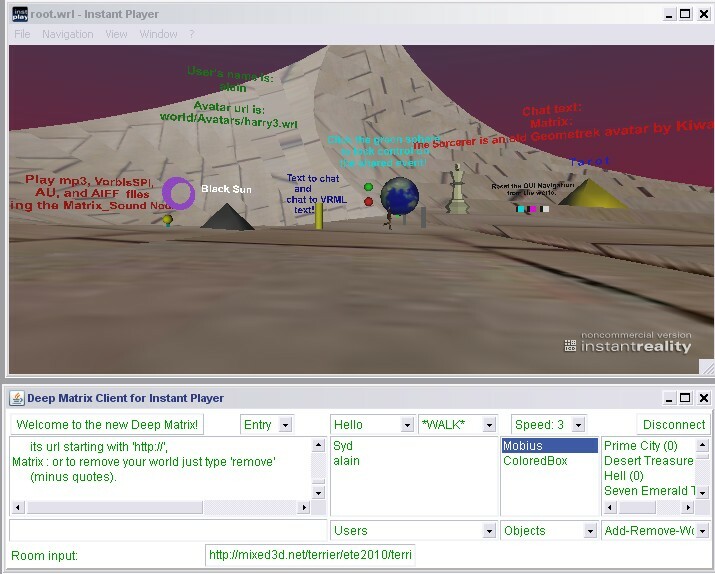 Remove all the Java programs listed. 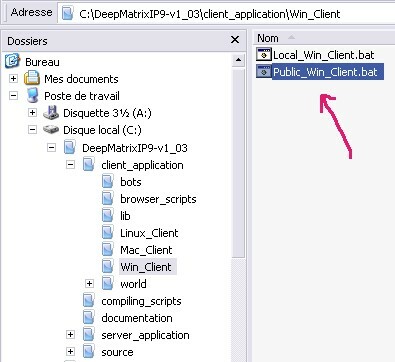 4 - Et voilà / You will get it ! 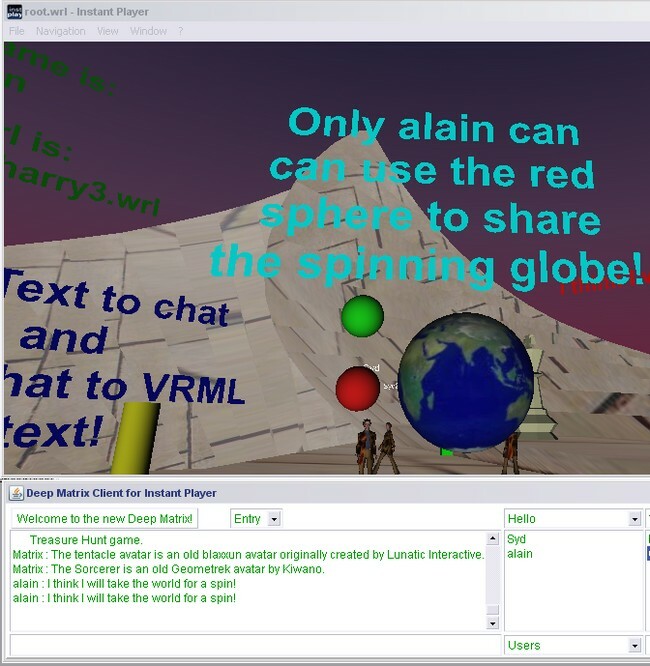 Sur le monde par défaut , puis sur / On the default world , then on : … MixED . 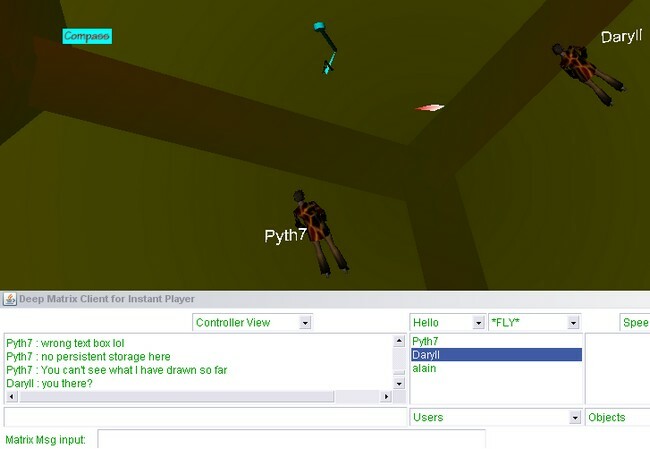 The prob is that the entry is not the right one . 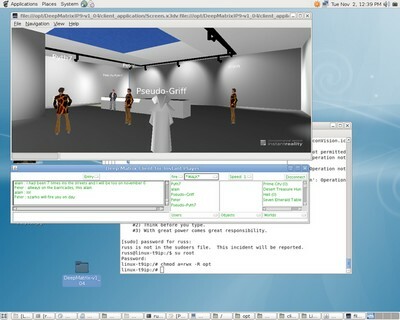 It is a small and easy and free software .